Gold exudes rich opulence, and these dimmer switches fit right in… It’s a combination that coordinates with most interior styles; from raw industrial to vintage period. 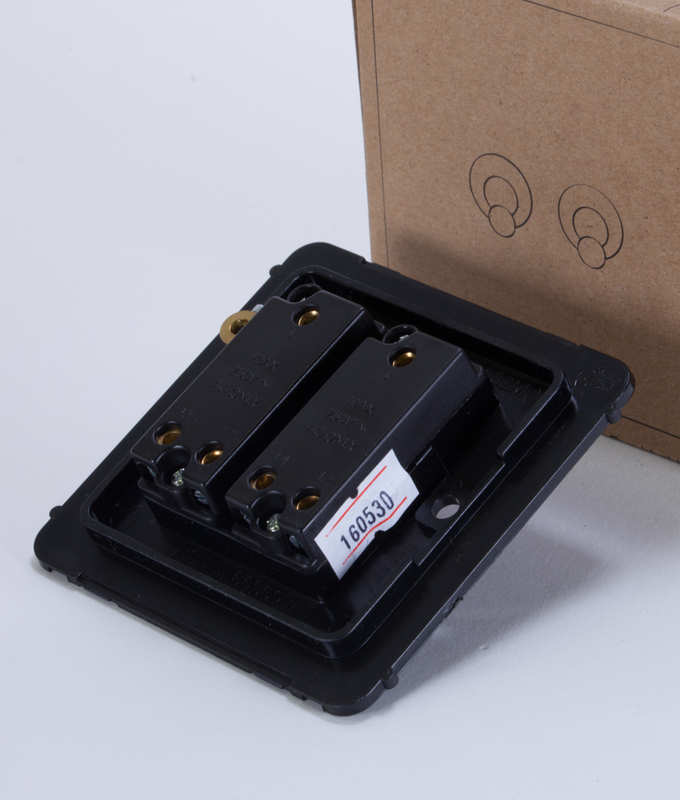 The low sheen brushed brass switch plate sets off the retro toggles perfectly… toggles that have an extremely pleasing on/off action hence being prepared for some heavy use from visitors. 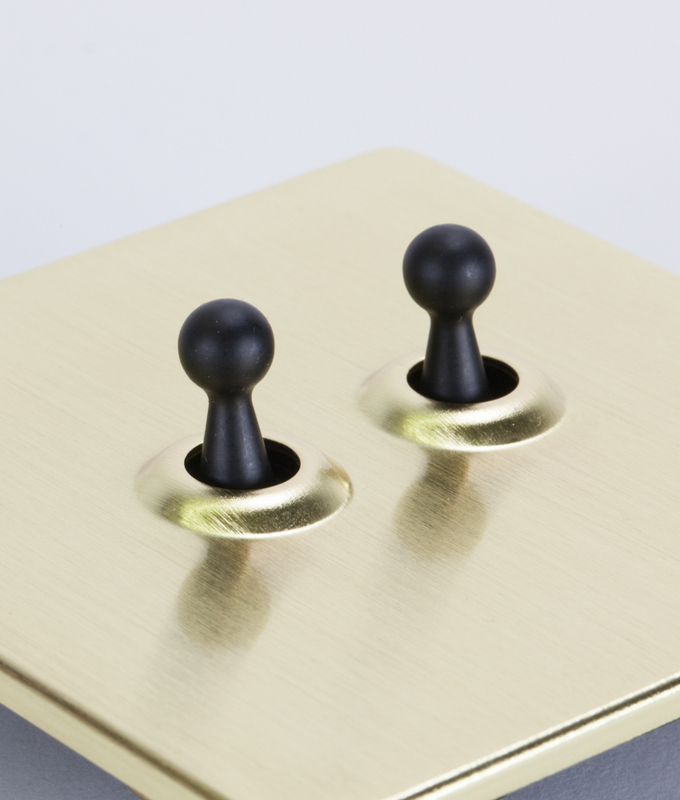 Our beautiful, high-quality gold double toggle switch features a brushed brass plate with complimenting retro toggle switches. This is a great switch for a vintage industrial interior. The perfect mix of period drama and no-nonsense retro styling. Gold is a finish that exudes luxury, but the minimalist styling of this switch keeps its feet firmly on terra firma. If you install a few of these very cool retro gold double toggle light switches then be prepared for visitors to want to fully appreciate their novelty… i.e. your lights are going to get switched on and off a lot! This toggle light switch is just one piece in our exclusive collection of coordinating designer switches. A range of contemporary switches and sockets to coordinate or mix and match in line with your personal style. Have a browse around our other gold switches and sockets that are all perfect for any industrial style interior where you want luxurious finishing touches. This collection of industrial style designer light switches is exclusive to us… Great because you won’t find them in DIY stores and therefore everyone else’s houses. If you love this double toggle gold switch, check out the matching single toggle switch and our other coordinating gold light switches and plug sockets.